When driving the Dempster Highway in the Yukon Territory in Canada, it is almost a relief when you approach this information sign to the Arctic Circle. 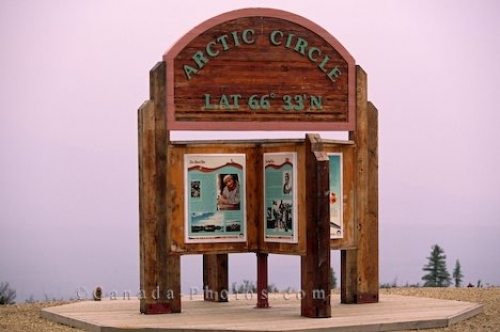 The Arctic Circle sign is a great place to stretch you legs, check out the scenery and read the information provided on the large wooden structure. Picture of an information sign at the Arctic Circle in the Yukon Territories in Canada.